7" Block Play Traffic Signs by Guidecraft. 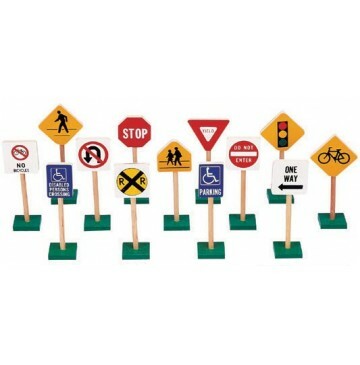 Set of 13 traffic signs perfect for tabletop or floor block play. Teach sign recognition and safety at an early age while increasing children's fun with block play.